I only used 1/4 of the recipe and I got 28 cookies, so depending how many cookies you need, you can calculate your own amounts of ingredients. Melt the butter and mix in the coffee powder, vanilla and rum extract, stir until the coffee powder has dissolved. Add the sugar, beaten eggs, baking soda and baking powder. Mix well. Add chocolate chips and flour. Form walnut sized dough balls with your fingers or teaspoon, place them to the cookie sheet and flatten the balls with your fingers or spatula. Bake 350 F for 9-11 minutes. Well all the bakers know that the oven needs to be preheated, right 🙂 Sometimes it surprises me that they still need to write that down. BUT then again maybe there is somebody who bakes for the first time…. I don´t know…. What do you think? Necessary? Cappuccino Royales freeze well, so if you have any leftovers you can just put them into the freezer! 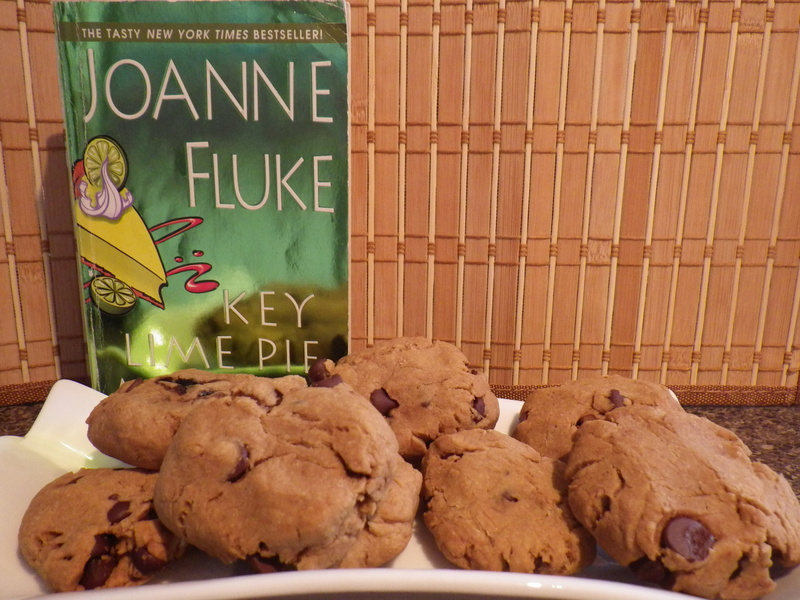 love Joanne Fluke recipes, and I use this recipe, but use half brown sugar and half white, cuts the sweetness, and I use half nuts and half chocolate chips! I also put in fresh vanilla bean 🙂 it makes them amazing!!!! Great idea about the brown sugar! They are very sweet! I made these for the holidays, thought they could have used a little bit more of a coffee flavor. It was a bit too subtle in my opinion especially for a name like cappuccino royales. I also think next time I make them I will use dark chocolate chips, since as others mentioned it is a sweet cookie and I think the dark chocolate would compliment better.